The Embraer E-Jets line is composed of two main commercial families and a business jet variant. The smaller E170 and E175 make up the base model aircraft. The E190 and E195 are stretched versions, with different engines and larger wing, horizontal stabiliser and landing gear structures. The 170 and 175 share 95% commonality, as do the 190 and 195. 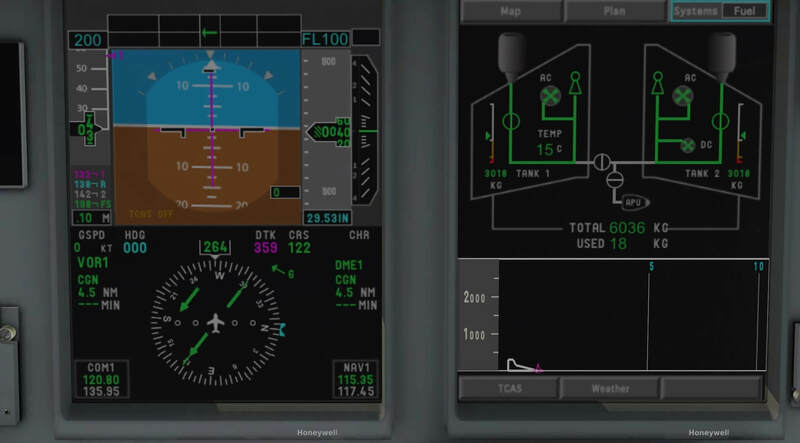 The two families share near 89% commonality, with identical fuselage cross-sections and avionics, featuring the Honeywell Primus Epic Electronic flight instrument system (EFIS) suite. The E-jets also have winglets to improve efficiency. All E-Jets use four-abreast seating (2+2) and have a “double-bubble” design, which Embraer developed for its commercial passenger jets, that provides stand-up headroom. The E190/195 series of aircraft have capacities similar to the initial versions of the McDonnell Douglas DC-9 and Boeing 737. The E-Jets have turbofan engines designed to reduce noise, which allows them to operate in airports that have strict noise restrictions, such as London City Airport. The E190/195 models are fitted with the GE CF34-10E engine. These E190/195 aircraft compete with the Bombardier CRJ-1000 and CS100, the Boeing 717-200 and 737-600, and the Airbus A318. It can carry up to 100 passengers in a two-class configuration or up to 118 in single-class high density configuration. 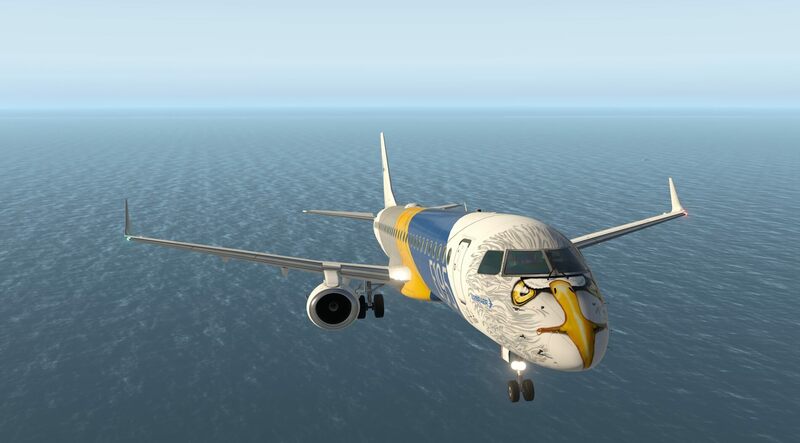 The first flight of the E190 was on March 12, 2004 (PP-XMA), with the first flight of the E195 (PP-XMJ) on December 7 of the same year. The launch customer of the E190 was New York based low-cost carrier JetBlue, with 100 orders in 2003, which took its first delivery in 2005. 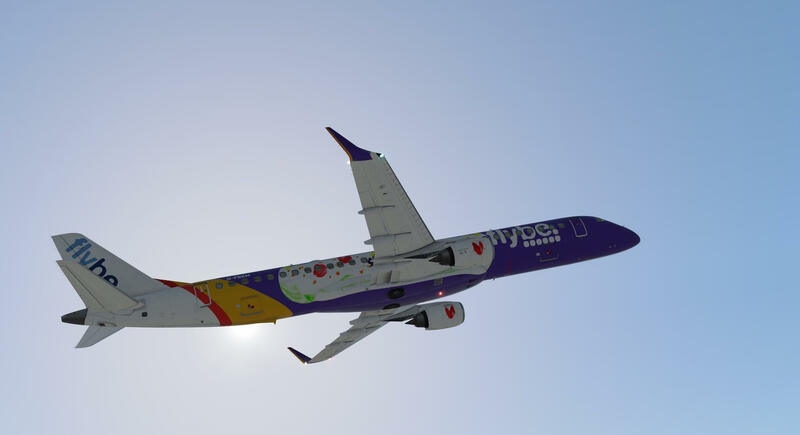 British low-cost carrier Flybe was the first operator of the E195 and had 14 orders and 12 options, starting E195 operations on 22 September 2006. Major operators include: Azul Brazilian Airlines (59), Austrian Airlines (17), Air Dolomiti (10), Flybe (9), and LOT Polish Airlines (6). The download time will depend on internet speeds but the download is smooth and straight forward from the store. The download folder contains sub-folders and other items including a documents folder which provides three separate documents: an Airplane Operations Manual of 191 pages, a Quick Start Guide and a Quick Reference Handbook, which contains checklists. The installation instructions are contained in the handbook. Bearing in mind this handbook downloads with this XP11 model it covers the whole SSG E-Jet series for both XP10 and XP11. I found this to be somewhat confusing and indeed, in parts, inaccurate. Whilst some of the instructions may have been applicable to earlier models I feel it does need updating for XP11+ as some processes appear to have changed. The X-Plane 11 instructions state that the main acf file for XP10 needs to be replaced by the XP11 acf file. This is not the case as this model has no XP10 file. There are other files that need to be moved that no longer completely match the file name described and the user may be left unsure about what they need to do or whether they have done the correct thing. The activation process is explained very clearly as are system requirements. The section relating to joystick/controller configuration again relates to a useful document containing a list of custom command assignments but the name given has been changed in the download folder. There is a very interesting further reading section before a chapter on custom sliders which is not easy to follow and the screen shots relate to XP10 so are not helpful for XP 11 changes. One of these settings is described as an X-Plane default setting for opening the co-pilots window but later it is also assigned to the pop out command for the Multi-Function Display. It does in fact open the window and if the user attempts to pop out the MFD it sets alarms off in the cockpit! Not the end of the world but it is frustrating when first learning the aircraft. At present the MFD does not pop out as outlined in the manual. I am told by the developers it has been disabled pending an update. The handbook then moves on to very helpful and informative tables for aircraft limitations, checklists and procedures which relate to both the E-170 and the E-195. 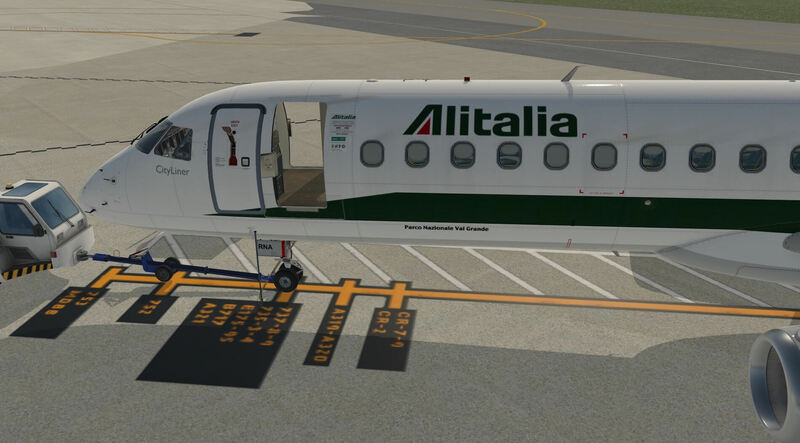 This is followed by a brief history and specifications of the aircraft and an explanation of what the developers are trying to achieve in the cockpit and an explanation as to how to make display and simulator adjustments, including a panel built in to the instruments which allows doors to be opened, yoke, seats, rain and stairs to be toggled, the tow truck to be used and the field of view to be altered. 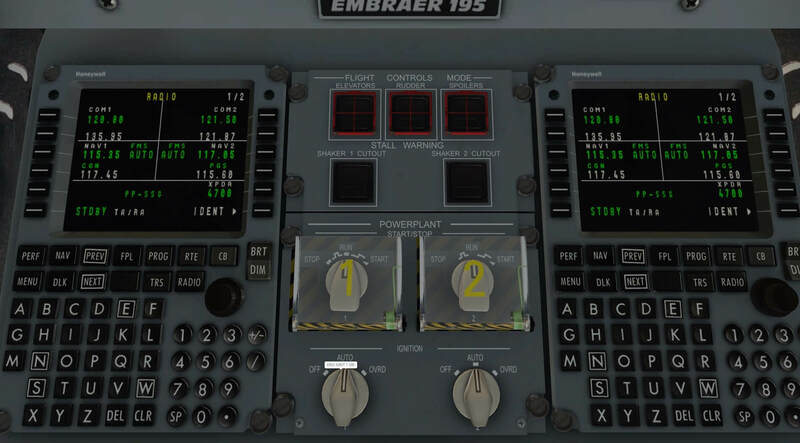 The panel has been cleverly integrated in to the 3D model and becomes part of the cockpit routine. This manual clearly shows the lengths they have gone to in order to explain their model and how to use it and there is a real desire to help the pilot enjoy the whole experience. I know from the forums they are busy trying to address multiple requests for updates to the aircraft from the X-Plane community but I would urge them to update the installation and set up instructions to make that initial use of the model more rewarding. The Quick Start Guide truly compliments the handbook and it should not be assumed that this is simply a condensed and abbreviated version of the larger manual as it includes keyboard commands not highlighted in the manual. The quick start guide does cover some of the information in the manual but it does this by way of preparing and undertaking a flight, going through procedures in the correct order and explaining how this works. This is a useful and enjoyable way to become familiar with the aircraft and the chosen flight can be altered and adapted to expand the users experience whilst learning the model. The documents folder also contains a Quick Reference Handbook which lists speeds and settings for take off, flight and landings. It is worth keeping this available for reference as the settings do impact the procedures and are referred to in the Quick Start Guide. The model is provided with a default livery and a further sixteen different colour schemes. Some of these schemes are ‘as new’ schemes and others are duplicates but with weathering. This allows the user to fly a pristine aircraft or one in the same colours that has clearly seen some use. All of these liveries are clear and bright. External signs and labels are legible and realistic. With engines off the model can be configured with a GPU attached and also with passenger stairs available to the aircraft. 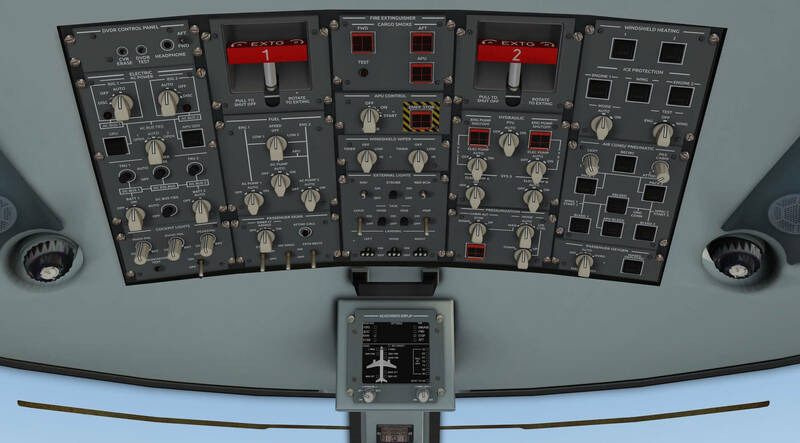 These are controlled from the Adjustments Display which is cleverly integrated into the cockpit just below the overhead panel. 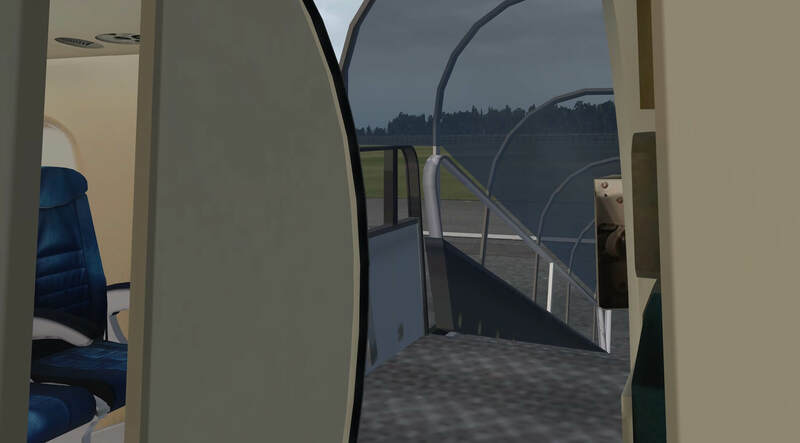 This display also allows the external doors and windows to be opened and controls the use of the animated tow truck which can move the aircraft both forwards and backwards. All are modelled realistically and add to the authenticity of the experience. Light and reflections work very well and compliment the colours. External doors and windows are modelled in detail and panels and rivets are created in a very realistic fashion. The undercarriage is very authentic with weathering on the wheel hubs, with lights, cabling and struts in place and labelling on the undercarriage doors. When the engines are switched on the turning turbines are animated and visible. Lights are well modelled, clear and bright. Once in the air the integrity of the model is maintained. Control services move smoothly and undercarriage doors and struts work in a realistic fashion. The turbines remain animated and clear. Glass and panels remain authentic and react to light sources and changes of direction. The colours and livery remain bright and sharp and fit well with the scenery. Exterior modelling is detailed and of a high quality with a great variety of liveries for the user to apply. 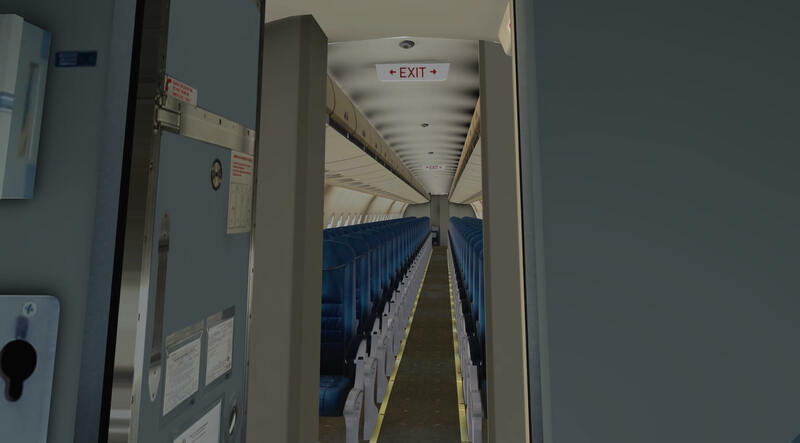 The interior of the aircraft again contains clear, precise and realistic modelling. All dials, switches and controls are clear and modelled with great attention to detail. The Adjustments Panel does allow the removal of the display of the yoke and pilots seating to provide a clearer view of the instrument panel. SSG have researched how the aircraft has been delivered to the various airlines and where lights have been delivered as inoperative in the real aircraft they are modelled in the same way. This is explained in the documentation. Surfaces and textures have been given an appropriate amount of wear and appear realistic and convincing. Interior colours on all surfaces and the cockpit displays are bright and vivid and the dials and controls can be read at all levels of zoom. All working switches and controls have labels when the cursor is hovered over them and also display switch options when used. All control screens are easy to read and have guidance labels when in use. Light, shadow and reflections are convincing and appropriate. 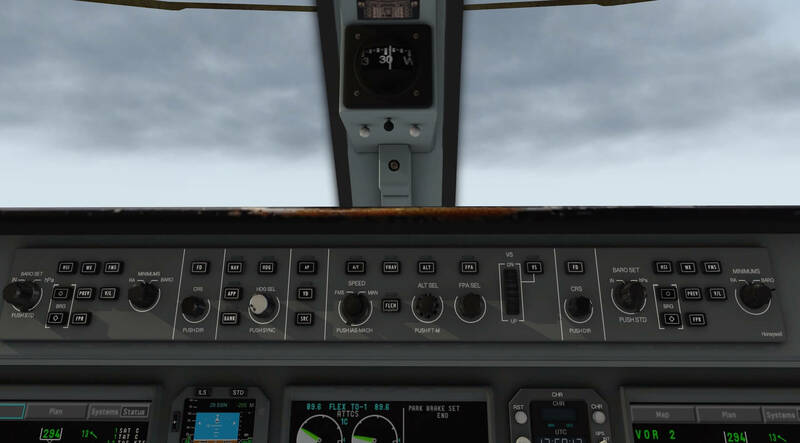 Views through the cockpit to the outside are clear and detailed and the Adjustment Display allows for rain effect to be added to the windscreen when the weather is set to precipitation. Lighting controls allow for different interior lighting effects on the instrument panel, cockpit and passenger environment with floor guidance lighting throughout the cabin. The cockpit door is animated and it is then possible to “walk” back through the cabin where all seats, lockers and the passenger environment are very well produced. Labels and notices are easy to read throughout the aircraft. 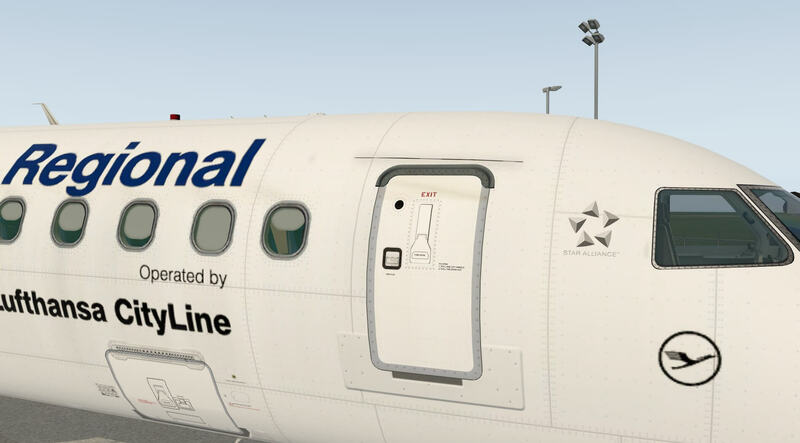 The developers have created a detailed, accurate and realistic model and whilst the cockpit is naturally the focus of effort, having been a passenger in an E195 the cabin provides the atmosphere and ambience of the real thing. The developers have produced a visually impactive model and have worked equally hard to create a very realistic flight experience, making the procedures and systems on the aircraft as close to the real thing as possible. 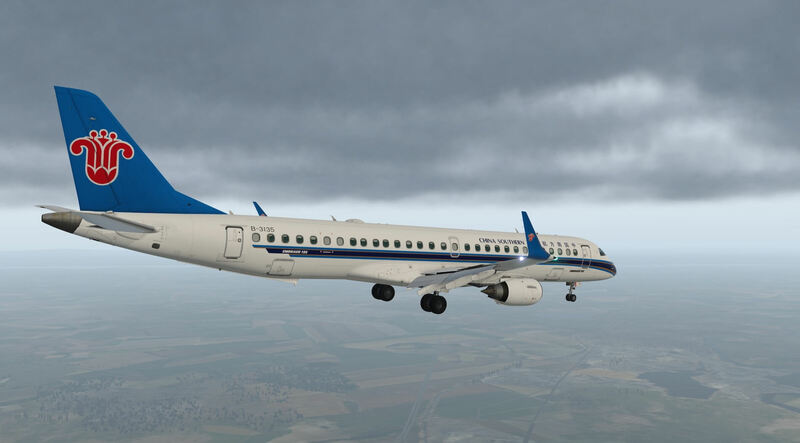 A visit to the X-Plane Forums for the E195 shows that users are asking for some specific upgrades to improve this further and the developers are producing an update to address key issues. Whilst updates are welcome the present experience of flying the aircraft is very good and SSG have succeeded in making it fun to fly. This should not be confused with easy to fly, as to carry out a flight that would not frighten the passengers remains a challenge, though I personally see the learning process of trying to achieve this as part of the enjoyment. 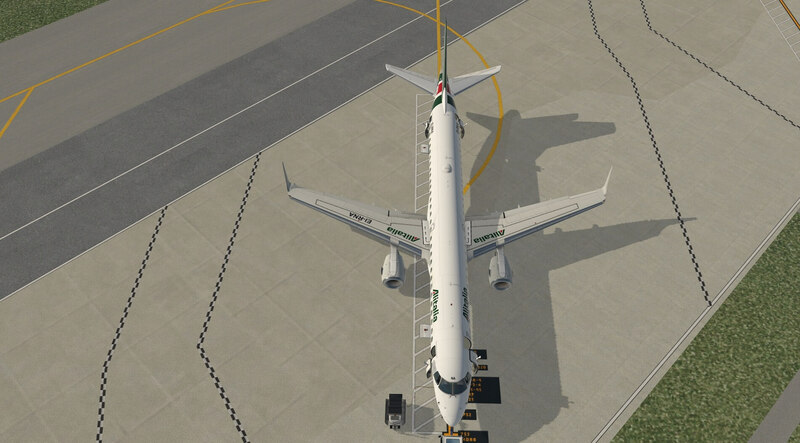 As with most X-Plane models it is possible to load the aircraft at the end of the runway, take off and fly. The model is responsive and smooth in manual flight and reacts well to all inputs. The view from the cockpit gives good all round visibility and the pilot can enjoy the scenery wherever they choose to fly. Landing the aircraft may be a little more challenging, without some reading of the manuals, for those with limited experience. As mentioned in the documentation section the Quick Start Guide uses a flight to initiate the user with the aircraft and the systems and this is a great way to move on from a straight forward manual flight. This flight starts by loading the aircraft and whilst SSG have used two American airports it is easy to substitute your own start and finish locations, though to carry out the flight properly a flight plan needs to be input so some may find it easy to use the whole route provided. The provided flight does not start from dark and cold but on the premise that the aircraft has just finished a previous flight so the starting point is accessing the flight deck and carrying out pre-flight checks for which a guide is provided. The guide then moves on to the procedure for powering up the aircraft and following the guidance makes this very straight forward. 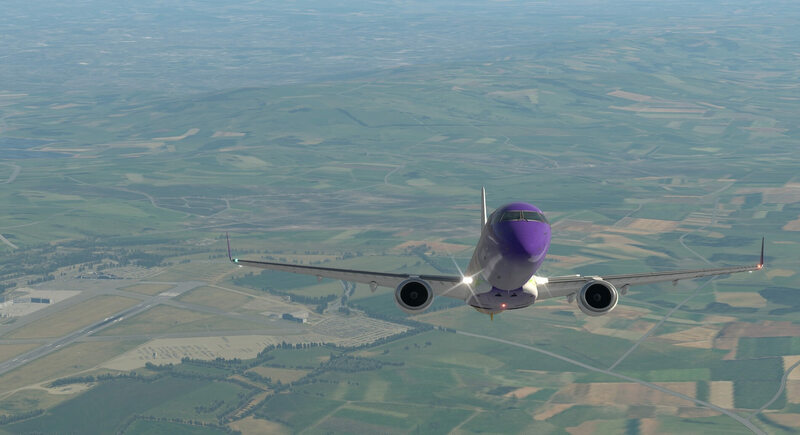 The next stage is programming the FMS, which is based on the X-Plane default system but has been adapted to more closely resemble that of the E195, so those accustomed to the X-Plane equipment will find it very familiar but may still need to refer to the guide to understand those changes. This programming in the guide is very thorough and should give confidence to all users of the model. The pilot is then guided through processes for setting take off pitch trim and fuel loads and how to initiate Take Off settings for the thrust levers. The flight moves on to setting up the guidance panel and whilst there are several settings to be checked and initiated the documentation not only makes this straight forward but also interesting. Push back can be completed using the tow truck supplied with the model and this is straight forward and realistic to achieve. Once the engine start up process is complete the taxi to departure runway takes place. This would seem quite daunting to an inexperienced user but the documentation continues to provide very helpful guidance. Take off is smooth and straight forward and the power of the aircraft is evident through the easy way it climbs to altitude. The FMS programming becomes worthwhile as the autopilot takes the aircraft through the flight allowing the user to enjoy the atmosphere created by the model and view the X-Plane scenery from the flight deck. The aircraft responds to all aspects of the autopilot quickly and smoothly and this gives the user time to watch what is going on and become familiar with the flight deck. The descent and approach phase include some instructions bespoke to the suggested flight but again they are easy to adapt for flights elsewhere. Landing has three options in the model in that auto-land will land the aircraft for the pilot, uncoupled allows the pilot to take over just before touchdown and manual lets the pilot complete the operation themselves. I found that leaving the aircraft to auto-land was not altogether successful, as it involved quite a bit of bounce on touch down and even created damage to the aircraft, but the uncoupled landing was straight forward and, by following the guidance, could be achieved in a successful manner. I did practice with the auto-land function but was never very pleased with how I landed and I believe that the bouncing on landing issue is one of those being reviewed for the next update. The guidance then talks the user through shutting the engine down and leaving the aircraft. This was indeed a really enjoyable way to fly the model. Different users may find different parts of the flight easier than others but having the guide available made learning the aircraft far more satisfying and the effort made to create this documentation is a credit to SSG. 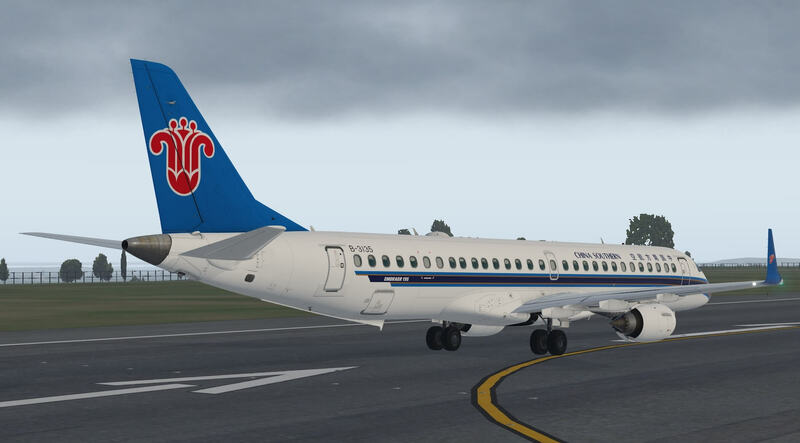 During the initial flight and subsequent trips I found the aircraft really good to fly. Like all bigger aircraft it is not as forgiving as some smaller general aviation models but that is all part of the challenge. The model responds to manual and automatic inputs and the work put in by the developer to ensure that the user can employ as many systems as possible adds real value. A great experience and a platform which provides a thorough learning process. The model is provided with 3D sound through a DreamEngine plugin. 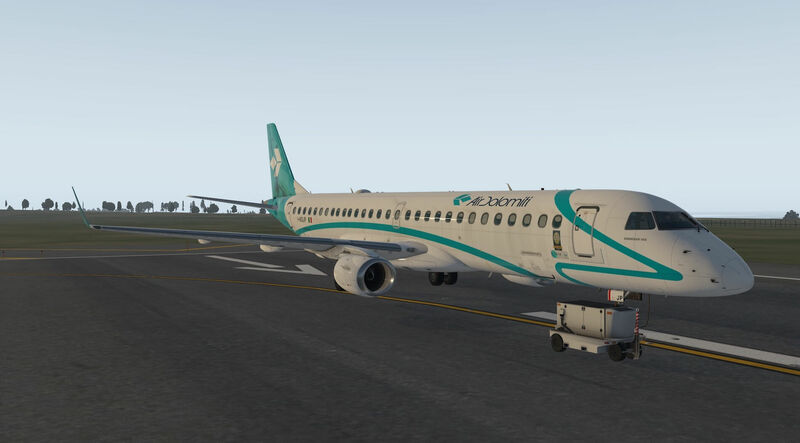 The plugin can be accessed through the X-Plane plugin menu and allows the user to set different sound levels, using sliders, for general volume, engine outside, engine inside, miscellaneous, switches and clicks and wind. This not only allows control of overall sound but the volume of sounds in relation to each other. All instruments that are modelled are accompanied by a realistic and appropriate sound, though a mouse click anywhere on the instrument panel creates the noise for using a switch. Engine sound is powerful and realistic both inside and outside the aircraft and the opening and closing of doors and windows have their own bespoke and convincing sounds. Operations such as flaps and undercarriage are accompanied by reassuring and authentic noises. Ground handling is also enhanced by a realistic sound package for runway roll, tyre noise and taxiing. Throughout use of the model there is a gentle hum in the background that all those who have travelled on a commercial airliner will be familiar with. This model is visually very detailed and the sound package supplied adds to the realism of the experience. The description of the model highlights the fact that the aircraft has an advanced flight management and navigation system, comprehensive autopilot, with other systems modelled with realistic logic such as electrical, hydraulic, engine fire extinguishing and comprehensive anti-ice systems. Advice is given in the manual in relation to updating the navigation databases either supplied by Navigraph or X-plane to ensure these systems work correctly. The cockpit is very impressive with the colour display screens for Primary Flight Displays (Pilot and Co-Pilot), Multi Function Displays (Pilot and Co-Pilot) and the single Engine Indication and Crew Alerting System. Through these systems the conventional flight control functions can be managed. The PFD displays information such as airspeed indicator, altitude indicator, ADI, HSI, vertical speed indicator, radio aids, autopilot, flight director, and radio altitude data. The manual states that the MFD contains various functions and displays for map, plan, DMEs, SAT and TAT temperatures, TAS, ground speeds, waypoint distances and time, system synoptic pages and the Traffic Collision Avoidance System (TCAS.). The map function also allows weather and terrain displays. 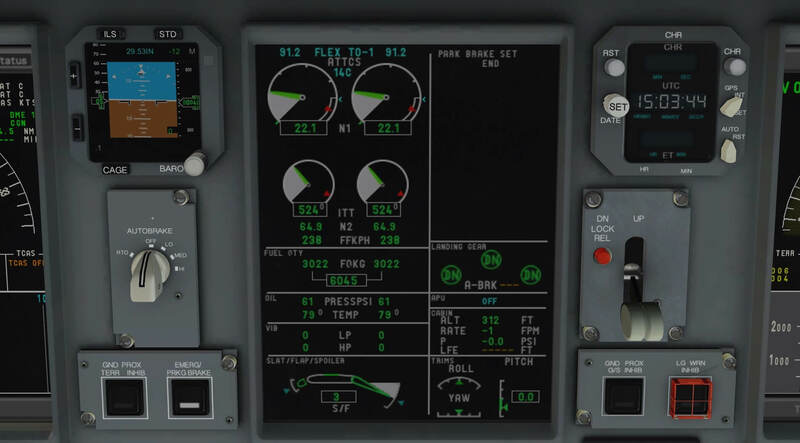 The EICAS display shows engine and system parameters such as flap, gear, spoilers and trim position, total fuel quantity, APU and environmental information. The Multifunction Control Display Unit is situated in the central console and allows programming of the Flight Management System. This is based on the X-Plane MCDU but modelled to represent the real version. It is a comprehensive system allowing multiple settings for flight planning and is linked to the other systems and settings on the aircraft. The overhead panel allows the user access to modelled electrical, lighting and signs, fuel, hydraulic, pressurisation, heating, pneumatic and fire extinguishing systems. The developers have worked very hard to produce a model that allows the user to experience the need to consider the large amount of systems and services associated with a modern airliner. These systems are made available through realistic and convincing control panels. Each system is an achievement in itself but what also impresses is the amount of integration between the actions taken by the user, the use of the control panels and the way that information is made available and displayed. The amount of systems and information in the model could be quite daunting to an inexperienced user, either in X-Plane, airliners in general or on this particular aircraft type. SSG have managed to produce a model which, in accordance with their declared philosophy, is fun to fly but at the same time includes detailed systems for the advanced user. The aircraft can be flown without using these systems properly but their use enhances the realism and challenge of the flight experience. The developers have ensured that by reading the documentation carefully, and following its guidance, the user can learn to use these systems and the value of the information they supply. SSG have created a detailed and realistic model which is highly impressive whether used as an enjoyable model to fly up to an immersive flight experience with a wealth of integrated systems as outlined in the model description. 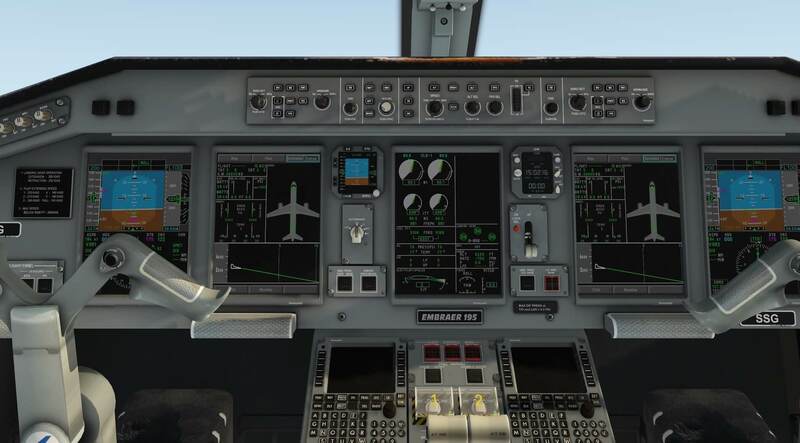 The documentation supplied may benefit from updating around the installation and settings sections as it is a little out of date for an X-Plane 11 model but is also very supportive and helpful for any level of user when it comes to the use of all of the different working systems supplied, making this a great model for the experienced user and for those wanting to learn and experience the issues involved in flying an airliner. There are some slight changes from the product description but these are being addressed in a planned update and use of the forums will soon inform a user of what is planned. The aircraft is visually impressive both externally and internally and the user has various options in terms of liveries and set up. The addition of aircraft stairs and a bespoke tow truck add to the enjoyment of the model. The cabin of the aircraft is accurately modelled but the focus, as would be expected, is on the flight deck. This is impressive in its presentation and a great experience in terms of the systems provided and their integration. Flight in the aircraft is enjoyable whether simply for flight or facing the challenge of using more and more of the available systems in the correct manner. The aircraft responds smoothly and authentically to user input and, in line with the real thing, is a little less forgiving than a smaller general aviation aircraft. A great model which gives a new user the confidence to push the envelope of the simulator experience whilst providing increasing challenge to the more experienced pilot. More information can be found at the dedicated X-Plane.Org web page (http://store.x-plane.org/SSG-E-Jets-195-Evolution-_p_725.html). As of this writing – end of February 2018 – the SSG Evolution E-195 cost you 49.95 USD. The review is based on product version/package version 20/12/2017. Thanks Andy for the review. I’m really missing that AirFMC is not working like on the SSG-747. I’ve asked Joao from Haversine if it would be possible to make it work. But he mentioned that it would be to much work. Great review as always. I enjoy reading them.